One of the most important lessons I have learned on the road is that ideas - particularly economic ideas - do not play the same role in India that they do elsewhere. In more advanced democracies the main ideological divide involves the role of the state versus the free market in distributing wealth. In India everyone is a statist. The economic debate is about how the state can best help the poor, by developing roads and other infrastructure, by distributing welfare benefits, or a bit of everything. We have seen both development and welfare work - and fail - as campaign strategies. When Naidu won a second straight term in 1999, he cast himself as the pioneer of a new era in which delivering successfully on development and economic reform could help Indian leaders get re-elected. He was tossed out five years later. Gehlot lost in 2003 campaigning as a development hero, and lost again in 2013 as a prodigiously generous champion of welfarism. More than a decade later, Jayalalithaa won re-election in Tamil Nadu, one of the states most hostile to incumbents, after doing little for development and much to promote free food processors, cement and other giveaways branded with her nickname, Amma. 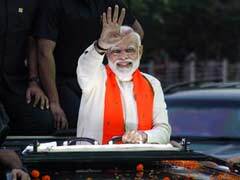 The point is that there is no consistent formula: candidates can pursue any mix of development and welfare models and, as one Tamil voter put it to us, the election will remain as unpredictable as a 'cat on the wall, you don't know which way it will jump'. One of the supreme ironies of Indian politics, however, is that corruption charges seem to hurt more than convictions. Voters are so sure justice in India is loaded against innocents, they often look more sympathetically on leaders emerging from jail. Lalu Yadav is one of the more irrepressible characters we have encountered in Indian politics, but never more so than after he emerged from prison, and told us he had never felt so adored by his supporters. In other emerging countries politicians may come back after a jail term, but rarely does time in the lock-up provide a career boost, the way it does in India. The thread that runs through the tests of Indian democracy is intimacy and connection: winning campaigns need to understand the ties that bind Indian voters to community and family, their frustration with government and the slow pace of economic progress, the pain of rising prices, and their sense of disgust with both corruption and the justice system. More than 1.3 billion people, more than 900 million of them eligible to vote in 2019, and yet these intimate connections are the key. Often, challengers prevail by simply watching the incumbent fail one or more of these tests. 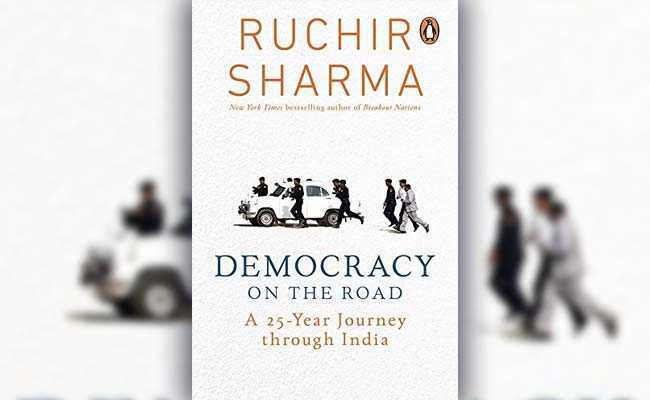 Excerpted with permission of Penguin Random House India from 'Democracy On The Road' by Ruchir Sharma. Order your copy here.